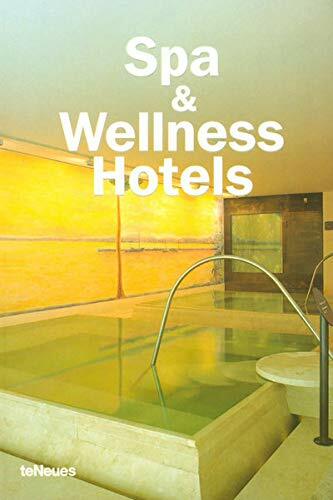 This volume features some of the most luxurious resorts from around the world to show how architects, designers, "wellness providers" and hotel owners have given new life to the concept of the spa holiday. Combining state-of-the-art technology with ancient healing methods and innovative settings, these spas in Europe, Asia and the United States demonstrate the importance of setting and cultural accents in providing just the right kind of personalized service. The book covers: the old-world elegance of Copenhagen's five-star Hotel d'Anglaterre; the sleek, modern Hotel Atoll in Helgoland, Germany; the Bacara Resort, perched upon the cliffs of California's central coast; the classical atmosphere of the Thalassotherapy Centre at Spain's Byblos Andaluz; the tropical paradises of the Seychelles and the South Pacific; and urban retreats in London and Paris. All of these singular locations takes advantage of natural building materials and resources, while at the same time displaying the latest trends in architectural and hotel design.